It’s nice to be back and blogging again. I have to confess that I feel really lost without the internet. We hardly use the phone, so being without that was no great hardship, but having no internet access pushed me close to behaving like a two year old. On Wednesday I sent Gorgeous Man down to the office to collect the post and he came back with a package for me, all the way from Cathi in Ireland. She very generously offered to send me some quilting needles for my first attempt at hand quilting. They came in this gorgeous little needlecase. 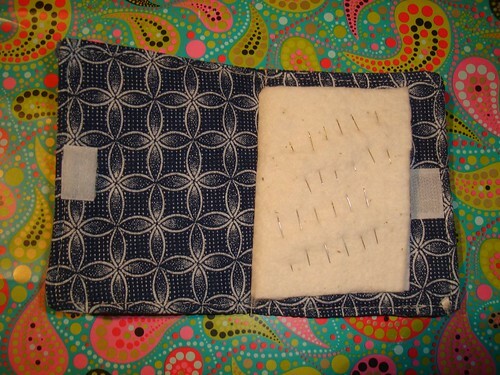 and filled with lots of lovely quilitng needles. I love the case and the needles – the case is much nicer than the one I’m currently using (birthday gift last year from the guild). Thank you very much Cathi! I have been stitching up a storm with them. It’s amazing what a difference quality tools (and a few days practice can make) here is the latest completed block. 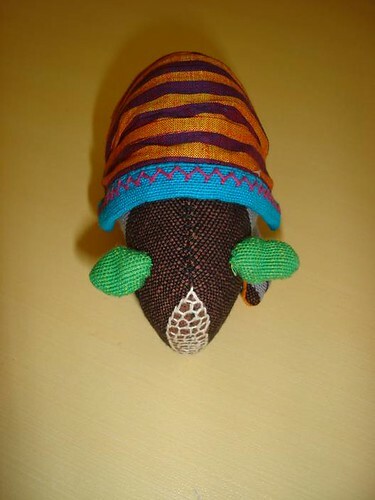 The stitches are much finer and more even. 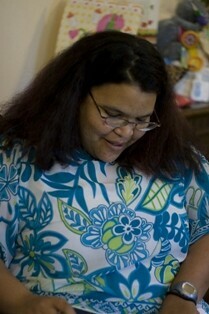 The background to the needlecase picture is my sewing box. It’s an old shoe box that I covered with the paper that Gorgeous Man used to wrap the present that he sent to the baby shower. Speaking of babies, Gorgeous Man has graciously agreed to do a post once the baby arrives so that you will all be in the loop. I’ve been doing some reading. 46. Secrets of the Baby Whisperer: How to Calm, Connect and Communicate with Your Baby by Tracy Hogg. 48. Midwives by Chris Bohjalian – probably not the best book to be reading at this stage in my life. It’s a novel about a midwife who attends home birth and one of the births goes horribly and tragically wrong. This made for quite compulsive reading and I finished it in an afternoon. Finally I have to wonder about how the following searchers ended up at my blog, but I’m pretty sure they didn’t find what they were looking for. “fake free pregnancy ultrasounds” – so you can fool your boyfriend into marrying you maybe? Greetings, I’ve been offline a little longer than I anticipated due to serious problems with the phone line, we’ve had at least 4 visits from the phone company to sort it out, but it’s fixed now. I could have posted from Gorgeous Man’s office, but it’s on the second floor of a building with no lifts and I just couldn’t face the rather steep flight of stairs. It’s been a busy two weeks, some parts have been good, some bad and some just ugly, and no, the offspring has not arrived yet. on Monday the 17th of September, and I didn’t go into labour on moving day – it was a major concern. The packers seem to have done a reasonable job – the kitchen, nursery, our bedroom and the linen are unpacked, (the rest is being done bit by bit) and nothing (of ours) seems to be broken or damaged so far. 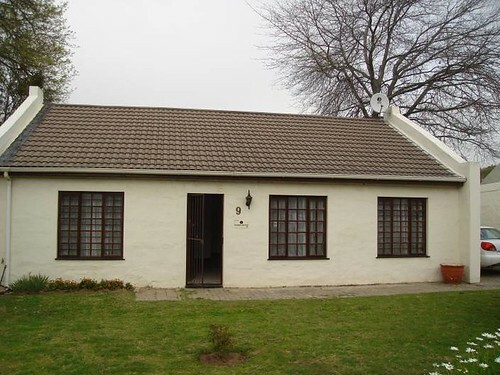 We left this place with some regret because it’s a nice little house with nice neighbours and was just across the road from the hospital – I could have literally walked across the road if I’d gone into labour on moving day. 2. We moved into our new house and this is the view from the back door. 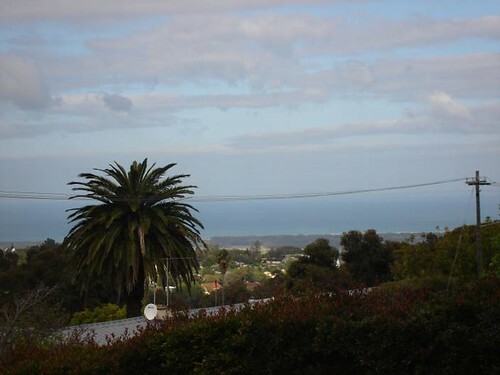 As Gorgeous Man says, we have a million dollar view – even though we don’t have a million dollar house. I love our new back yard and have been spending some time each day out there just soaking up the sun and the tranquility – it’s much quieter here. We are on quite a steep hill. 3. Fat Boy has take the move very well. Here he is keeping an eye on the removalists as they packed up the old house. He does move well (he is 11 and has lived in 3 Australian states – New South Wales, Victoria and Queensland, 2 countries and 12 houses), but I was worried because this would be the first move in South Africa. 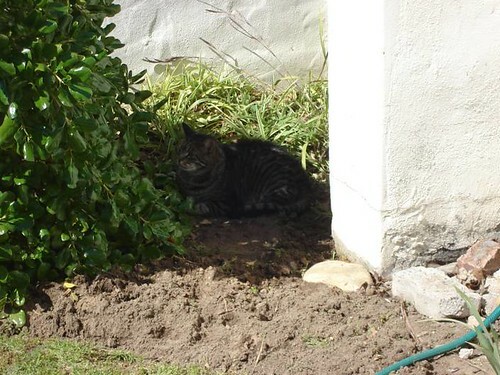 He loves the new backyard: we have a vacant lot at the back and neighbours only on one side – they don’t have pets, so Fat Boy has already colonised their yard as well. He is actually asking to go outside (as opposed to being forcefully shunted outside by us for a bit of sun), so hopefully he’ll lose a bit of weight with the increased activity (he is currently 7.5kg – 16.5 pounds). 4. We saw the ob/gyn on Wednesday and it seems we can expect the baby sometime this week – he says he’ll be surprised if we make it to our next appointment on the 4th of October. that insisted on coming home with us. … as they were leaving. 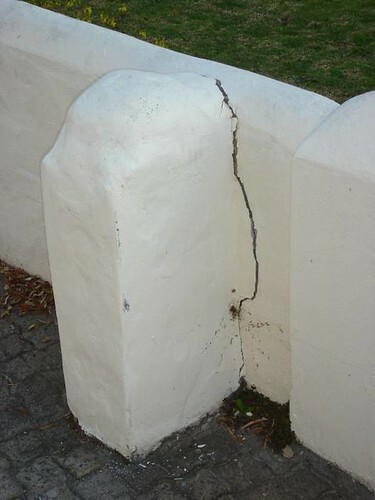 We have notified the company of the damage and the body corporate for the estate is going to bill them. 3. We got our new computer on Friday afternoon (which is wonderful and I’m enjoying vey much), but before we could connect to the internet our phone line went dead. It was a long weekend here (Heritage Day) which further delayed repairs, we were without a phone for 5 days and the internet took another few days after that to repair. 4. We don’t have enough curtains for the new house, so I need to make some more – not too much of a drama, except Gorgeous Man and I visited all of the fabric shops in the area and couldn’t find anything we liked enough (or could agree upon) to bring home. If you’re still with me at this point, well done lol. I’ve been doing a fair bit of hand quilting, but the projects on the knitting needles require either blocking (no space in my craft room yet – it’s still filled with boxes of books) or complicated shaping that I know I will screw up at this point in time. I received a package in the mail from Cathi on Wednesday, but that deserves a blog post all of it’s own. I’m going to be off-line for a few days. We are moving house on Monday and it’s going to take a couple of days to get my new computer (yah!) and internet connection set up. I will be a woman of leisure after the move, so hopefully will have some time to catch up on all the blogs that I’m behind in reading. Please keep your fingers crossed for me that I don’t go into labour on moving day, and don’t worry, I won’t be carrying anything, we’re getting professional movers in. 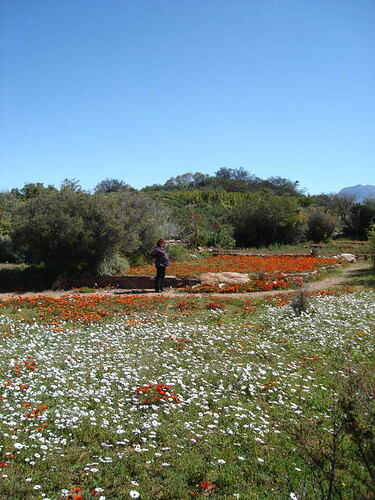 On Sunday, for Gorgeous Man’s birthday, we headed out to Worcester (about an hour and a half away) to visit the Karoo Desert Botanical Gardens. Even though Spring is here (not that you’d know it today – rain and 16C or 47F) there is still a trace of snow on the mountains. We had a lovely fine day. Here’s me about half-way through my stagger around the garden. (Shortly after this picture was taken I collapsed on a bench and sent Gorgeous Man off to explore on his own). This next picture shows the full glory of what I was standing in. 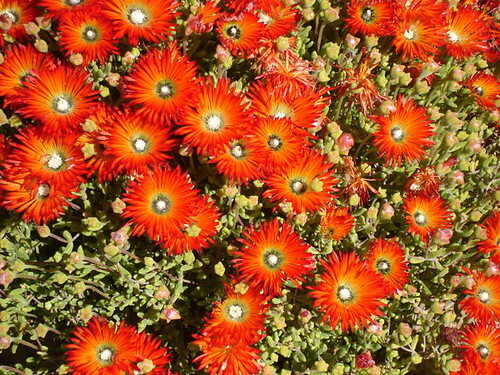 These flowers are like daisies and are very pretty. Here’s Gorgeous Man, he’s finding new bird species to add to his list. 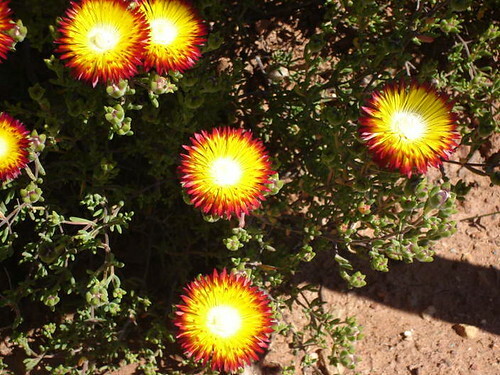 While the daisies were very pretty, my favourite plants were the succulents. Please excuse the framing of the following pictures, as you can see from the first photo it’s a bit hard for me to get down and frame stuff as nicely as I ordinarily would at the moment. These were my favourite flowers in the garden, and luckily enough, there was one in the nursery that decided to come home with us and live in our new garden. 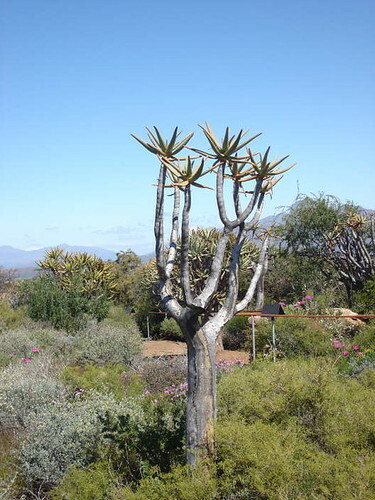 and quiver trees are always interesting. I finished a book this weekend too. 45. Rabble-Rouser for Peace: The Authorised Biography of Desmond Tutu by John Allen. This is a highly readable book and gives an insight into the life of Bishop Tutu from his childhood through to his role in the Truth and Reconcilliation Commission. Reading this book really re-enforced for me how far South Africa has come in terms of race relations. Yes, I believe the country still has a way to go to heal the hurts of the past, but given where they started, where they are today is truly miraculous. 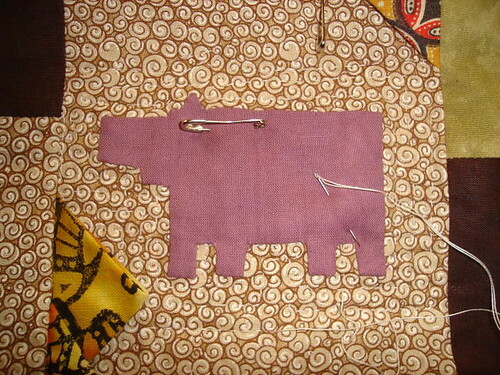 I started hand quilting the African Animals quilt on Thursday using the stab-stitch method, and although it was really slow, the front looked ok. The back however, was a dog’s breakfast. So I looked up about 20 hand quilting tutorials, picked a method that I thought I could do, and started again using running stitch. I am a bad blogger and neglected to note which tutorial I used so sorry, no link. It didn’t occur to me to do a practice piece, I just dove right into the quilt. Here is the first attempt. The stitches don’t show up too well in the picture, but they are pretty big and uneven – remember I’m calling this my primitive quilt. Here’s what the back looks like. 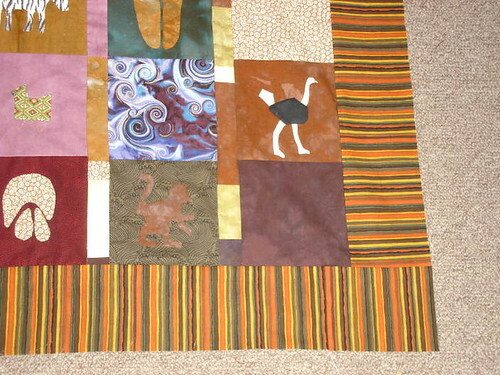 The backing is local fabric and is a little coarse, but I couldn’t pass up the pattern that is perfect for the quilt. I can see improvement between the first and second block. The stitches are getting smaller and more even. 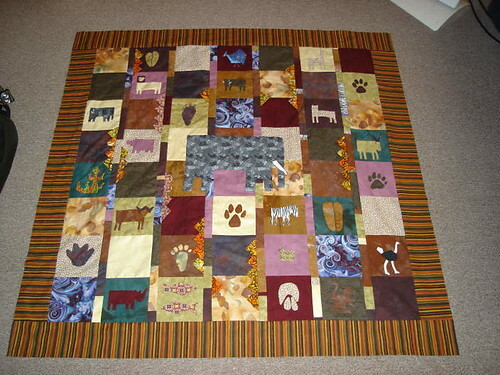 I’m just echo quilting around each appliqued motif and I will create some sort of geometric design on the blank spacer blocks. 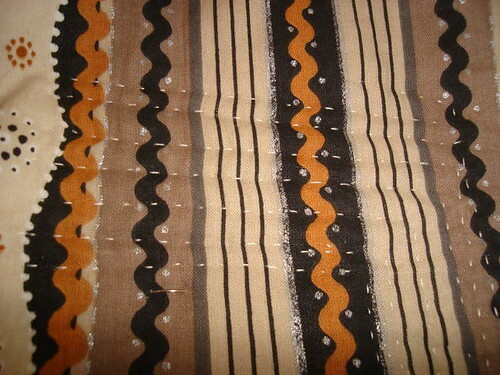 I think using imported batting and proper quilting quality fabric on the back would also make a difference. 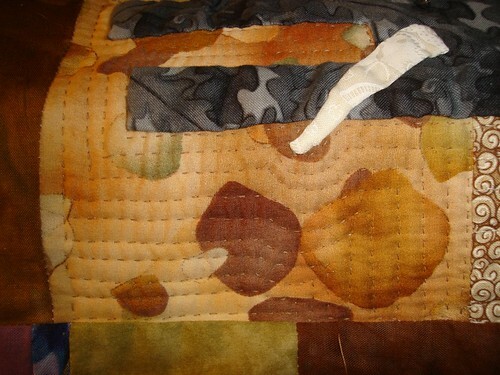 I’ll be doing that with my next quilt. The batting is polyester and pretty coarse. I’m really enjoying the process, though I have to admit that fitting the quilting hoop over my pregnant belly takes some doing. 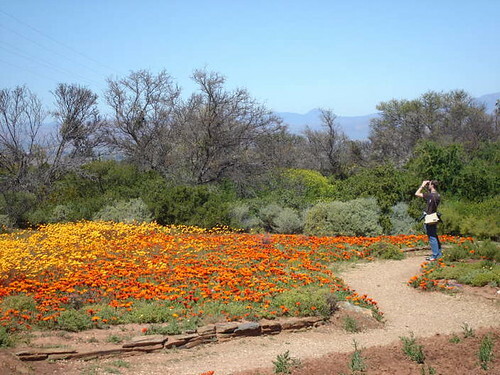 Yesterday was Gorgeous Man’s Birthday (I won’t tell you how old he is, but he’s now on the ‘wrong’ side of his mid-thirties) and we drove out to Worcester to visit the Karoo Botanical Gardens. this is about 70 kms from our place, I did well, I only needed one bathroom break on the drive there. 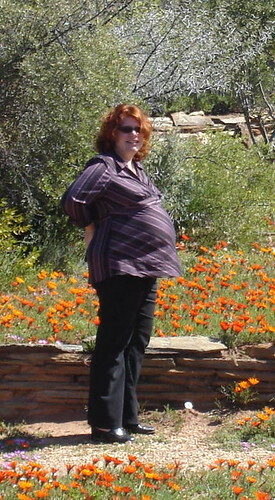 I’ve got some great pictures to show you, but I haven’t uploaded them to the computer yet, there’s even one of me, in which you can see the extent to which the belly has grown. Hopefully, I’ll find sometime tomorrow. Tonight MIL is coming for a belated birthday dinner and I need to clean my house, which (once again) looks like a bomb has hit it. Gorgeous Man is cooking (roast pumpkin risotto) so I don’t have to worry about that. 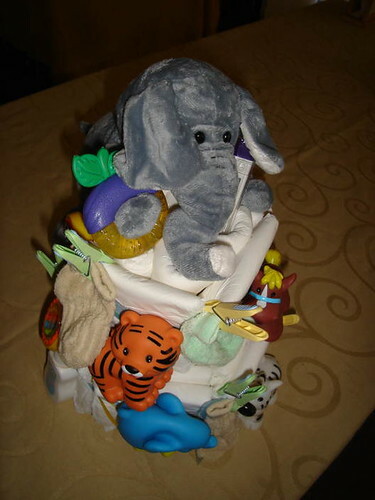 A quick trip to the Home Industry store * will solve the problem of a (second) birthday cake – the first one was eaten at a dinner party we attended Saturday night. * Home Industry stores are stores run by a collective of women who bake goods in their homes. Usually the cakes are very nice and they have quite a wide range. Pictures of flowers and things tomorrow. Have a wonderful day. 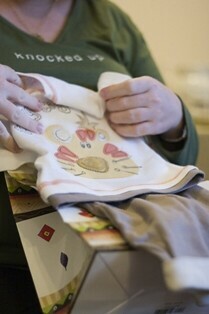 If today’s post is a little disjointed it’s because I’m really, really tired. Right now the quilt is still pinned to the carpet in the living room, covered with a sheet so Fat Boy can’t lie on top of it. 6 more working days left, then moving house (the Monday after I stop work) and then I can relax. 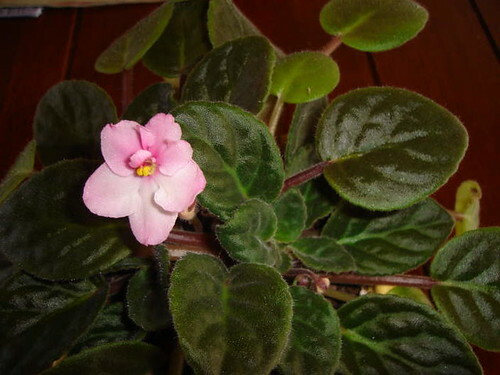 I have always had African violets in my house (there was only one house in Australia that we lived in that the African violets hated and all curled up their toes and died). I’m growing them here too – our current house has a great spot for them, and I’m hoping the new house will have somewhere just as good. I like the fact that I’m growing African Violets in Africa (yes, small things amuse me). Anyway, because a post without pictures is boring here’s a picture of this little gem that flowered this week. I’m especially excited about this one since I grew it from a leaf. I don’t have any more birthing classes now until the end of September because our educator is in the USA at seminars and conferences. Some of you asked about the separate men’s and women’s class. I think it’s because she shows the women videos of live births, though why you couldn’t show them to a mixed group I don’t know. With the men, she also talks about how to support your partner in labour, labour positions, the legal stuff, like what to put in the will, investment for the child’s education, again why women don’t need to know this is beyond me. Then again, there’s a lot of stuff about this country that I don’t understand. When I hit my late 20s my biological clock didn’t just start ticking, it exploded. The yearning for a child became very strong. Unfortunately we weren’t in a position to even try to get pregnant since I was funding Gorgeous Man’s doctoral thesis and the choice was food on table or child. Suddenly it seemed that there were pregnant women everywhere. I knew I was in trouble when I found myself hating being profoundly jealous of pregnant women at the mall. To make matters worse it seemed like all my colleagues got pregnant at the same time, that was hard. I got very good a plastering a smile on my face and saying all the right things, then going home and telling Gorgeous Man that So and So was having a baby and having a little weep. Baby showers were particularly difficult as often I’d sit there wondering if/when it was ever going to be my turn. pictured here, and Claudelle (who was, as usual, behind the camera) organised a Stork Party or baby shower for me. Gorgeous Man decided that if I was having a stork party then he was going to have a boys’ day out and he and two mates headed up to the Tanqua Karoo to see the wild flowers (which are spectacular this year due to all the rain) and look for some new birds (feathered ones). They had a good time, but I had a wonderful time. We are doing the cloth nappy thing, but this will save me washing for the first few weeks. There were 28 nappies in here. I took it apart last night and was amazed at the construction of it. Gorgeous Man impressed everybody by sending a gift. 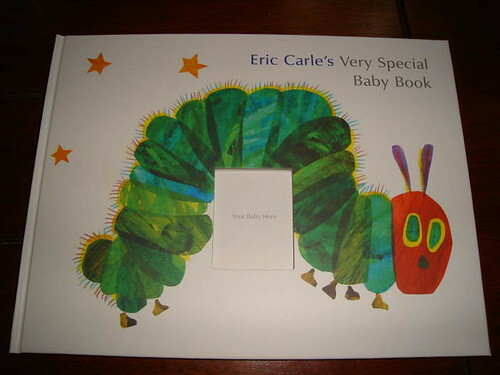 We are big Eric Carle fans and this baby book is perfect. Gorgeous Man has requested a Very Hungry Caterpillar quilt for the offspring (it’ll be for when it’s a toddler) so I’ll be using some of the images in this book as inspiration. 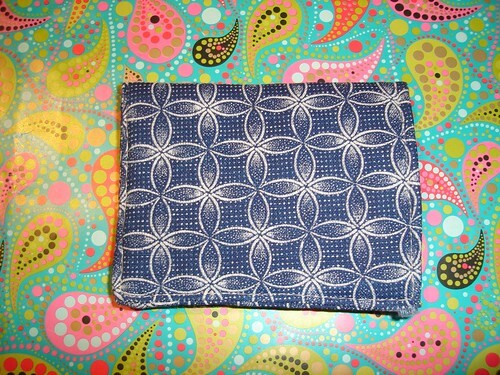 The border fabric is a Debbie Mumm. We had guild meeting today and it was supposed to be a spring clean bring and sell your unwanted stash day. 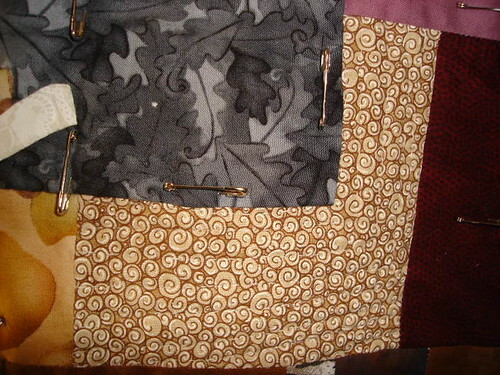 I was so excited (last year I bought most of the fabric that went into this quilt from there) but this time only one lady brought any fabric to sell. Talk about disappointed – especially since Gorgeous Man had given me more money to spend in addition to what I already had in my purse. I got a bit from her but nowhere near as much as I was hoping to buy – no time for a picture yet. When I was home for lunch – before heading into work my next door neighbour dropped in with a giant bag filled with fabric scraps, she’s been sewing for years and her father owned a fabric shop so some of it is real vintage. Unfortunately I haven’t had time to go through it yet, since work was waiting, but that’s very exciting and more than made up for the lack of vendors at the quilting guild. She has warned me that not all of it is 100% cotton, but there is always an application for a fabric – applique, handbags etc. Doing the happy dance (well I would be if I could move…).